When I heard that Nars was coming out with a new formula to their lip pencil (not to be confused with lip liner pencils) line I was absolutely thrilled! 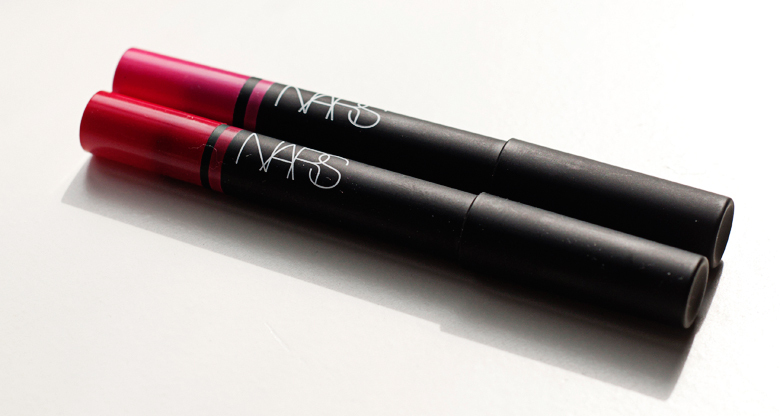 I especially love the Nars Velvet Gloss pencils and Velvet Matte pencils. 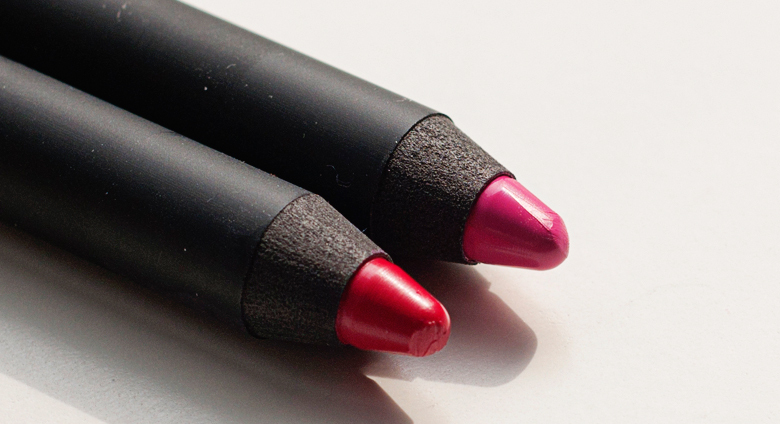 These new Nars Satin Lip Pencils seem to be a hybrid between those two formulas. It’s not sheer and super glossy like the velvet lip gloss but it’s not completely matte either. 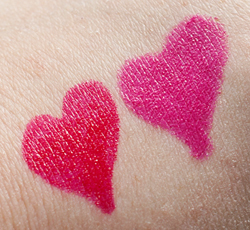 It’s moisturizing with a slight sheen and is crazy long lasting. Even after removing with a makeup remover wipe, the swatches still remain on my hand and when I tested out the wear of Yu a couple of weeks ago, through eating and drinking, it lasted over 8 hours on me without any touch-ups. Insane! I did notice that if you have any dry patches on your lips (I have super awful dry skin and can get chapped lips quite easily) it will cling to them so it’s a good idea to use a lip scrub and balm first before applying these pencils. At $25 a pencil they are quite costly and another major con is that you have to sharpen these pencils. A good tip is to place them in the freezer for 15 minutes so that they are a bit firmer, otherwise it’s almost impossible to sharpen them without making a mess and wasting product. However if I got some extra spending money? I would very much buy a few of the other colors for my stash! Love the color of the Yu color! So pretty! It really is so pretty and just perfect for Spring!